In the latest in basketball news, The Cheongju KB Stars now know how it feels like to have a championship title under their belt. The KB Stars beat the Yongin Samsung Blueminx 73-84. This is game three of the championship fo the Women’s Korean Basketball League, or the WBKL. Those who are into sports betting predictions may not have anticipated this. 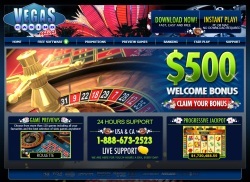 Of course, they are a welcome underdog, as seen in the best gambling websites. The finals for the WBKL is a best of five format, but since the Stars have been winning all of their championship titles, the finals has ended 2 games sooner. Of course, the KB Stars also won the regular season title, plus the championship title. In all the years of the KB Stars, they have never won both titles in a single season. Since the WKBL started back in 1998, the Stars have only won the regular season title a few times. However, their efforts were not quite enough to win them a championship title win. They do have five runner-up trophies, so its not for lack of trying, or skill. The WKBL is usually dominated by the Asan Woori Bank Wibee, especially in the last few years. The Starts broke the six year streak of Wibee, which is a feat in itself. Of course, the Stars were on a roll, and another award was given that night. Park Ji-su, who played 25 points and 12 rebounds in the playoffs, was unanimously voted as the MVP. Park, at 20 years old, is the youngest player in the history of the WKBL to grab an MVP award. Naturally, Park is also in a roll, having received the MVP award for the regular season as well. Park has a great continuation of her career. From shining in the National Team, to gaining international experience in the Women’s NBA (WNBA) for the Minnesota Lynx and the Las Vegas Aces. She is the first Korean player to play in the US leagues in the last 15 years.